Congressman Mike Pompeo will challenge Sen. Jerry Moran. I have heard all of the arguments about why this can't happen. I know it's very late in the game. The filing deadline is less than two months away -- June 1. I know Pompeo doesn't have the cash to seriously challenge Moran. 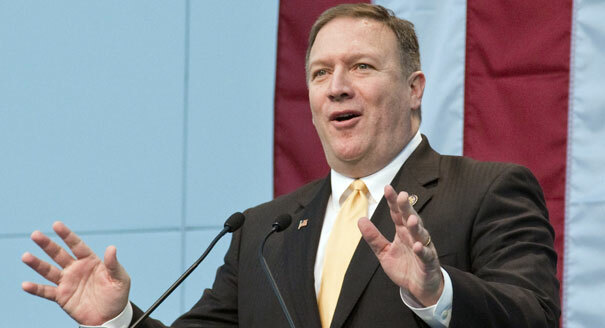 Pompeo has $1.1 million on hand for a 2016 campaign. Moran has $3.1 million. History suggests that incumbents always win. Because I believe this race is happening, I want to be very clear before I go any further -- I do not have a dog in this race. At this point, like most Kansans, I have been very recently stunned by Moran's behavior. This makes me very willing to hear another candidate out. Pompeo, in my experience, is the most arrogant politician I've ever met. This is saying something, because all politicians have an arrogance that borders on psychopathic. But I'll hear Pompeo out. I don't really care if my representatives are likeable. I care how they vote. All signs of common sense suggest Pompeo won't challenge Moran, but all of those aforementioned items can be overcome. The filing deadline is still two months away. It doesn't take a whole lot of effort to file paperwork. 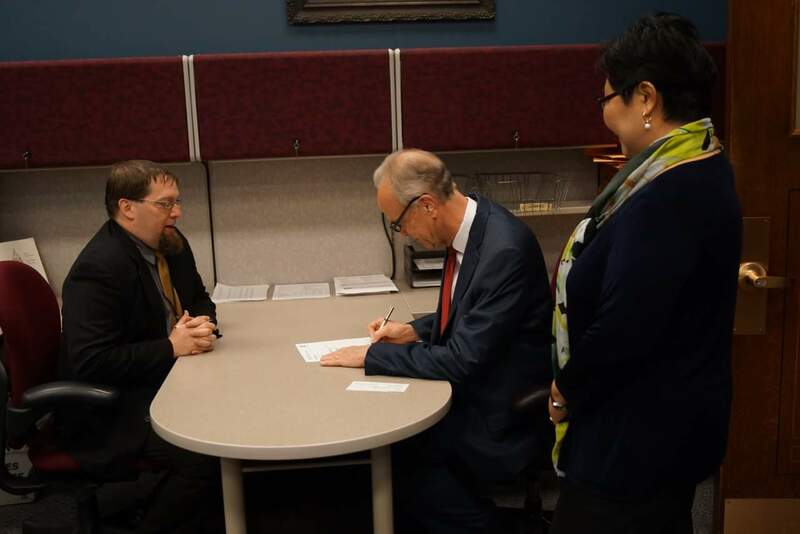 Moran himself just filed earlier this week. Just because Sunflower State voters don't typically send people from the Fourth District to the U.S. Senate, that certainly doesn't mean we won't. As one wise reader reminded me recently, Nancy Kassebaum was from the Big Fourth. It has happened, and not that far in the distant past. History tells us that incumbents who win in a popular election always win their next race. Pompeo wouldn't just be running against Moran; he'd be running against history. This is a stupid, pointless argument, but people are making it. First, if we always do things the way we've always done them, we'll continue to get the same things we've always gotten. I don't want to use a bumper sticker saying as an argument, but there's a reason some things are put on bumper stickers. This election cycle is different than any other in history, and I should also note that had people shied away from change based on "history," I'd still be whispering in a man's ear for whom I thought he should vote. I implore you, conservative activists gearing up to be jerks in a nasty primary, do not use history as your argument for retaining Moran. That's not good enough. Finally, the money piece. Moran has more than double what Pompeo has, but I would argue Moran is still far short of the funding necessary to run in a tight race. Sen. Pat Roberts -- who was facing a political novice in 2014 -- spent $8 million to hold on to his Senate seat. Both Moran and Pompeo have a fundraising mountain to climb between now and August. The evidence that Pompeo will run continues to mount. There's simply no reason for Pompeo not to come clean and say he isn't running at this late in the game. If he doesn't run while continuing to bash Moran, Pompeo is seriously damaging his political future. And there's also this: It's no secret that Pompeo has greater political aspirations, but his road to the Senate or higher office is more difficult come 2018 or 2020. If he waits and intends to run for Governor in 2018, he'll face Congresswoman Lynn Jenkins, whom I'm told will seek the top executive role in Kansas after Brownback. If he waits until 2020 to challenge for Roberts' Senate seat, he will likely be facing Congressmen Tim Huelskamp and possibly Kevin Yoder; and statewide office holders Attorney General Derek Schmidt and Lt. Gov. Jeff Colyer. That's going to be one crowded primary race. (I've written in the past that I do not believe Roberts will finish his term, however, rumor has it Roberts is balking at the idea of Gov. Brownback appointing his replacement.) Either way, in a 2020 race for Roberts' seat, Pompeo faces an overcrowded primary or an incumbent selected by Brownback. That's not a good race. Moran gave Pompeo an opening by saying some of the dumbest things to come out of the mouth of any Kansas politician in quite sometime. (And I say this fully recognizing that we embarrassingly boast Kathleen Sebelius among our politicians. Just let that sink in for a moment.) 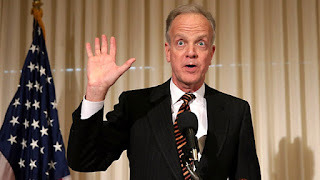 This year -- 2016, a primary against Jerry Moran, still in his first term -- may be Pompeo's best chance in the next 6 years to move into higher office. He'll take it. Meanwhile, Kansas Treasurer Ron Estes has announced an Exploratory Committee to consider running should Pompeo challenge Moran. Anyone who thinks Estes doesn't have a bit of an inside track with Pompeo isn't paying attention. Estes is also from the Wichita area. I hear from friends and sources that the Wichita contingent fights one another, but from this end of the state, it doesn't look that way. The Wichita folks march mostly in lock step, and they do it backed often by aircraft manufacturers and Koch. Estes' announcement that he's forming an exploratory committee has shown Pompeo's hand. Pompeo will run. 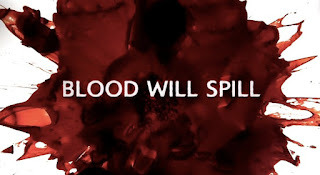 Prepare yourselves, Kansas Republicans, because there will be blood.